The Yamuna River is a very essential part of the greater Indian Civilization. 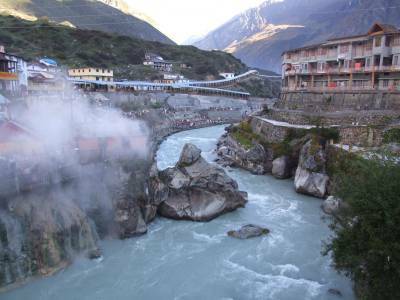 The Yamuna River is born from the Yamunotri Glacier in the Himalayan Range located in the Uttarkashi district of Uttarakhand. 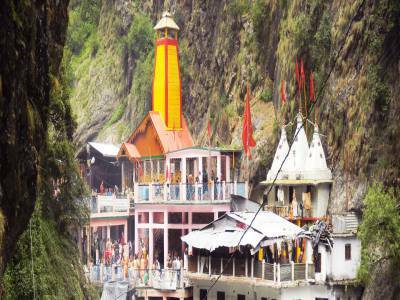 The shrine of goddess Yamuna is built at the base of the Yamunotri Glacier and is called the Yamunotri Temple. It is very important for India’s mythology, history and geography. Starting off with the mythological aspect, the Yamuna River is regarded as one of the holiest river that flows in India because it has a purifying & cleaning effect on the tainted souls. 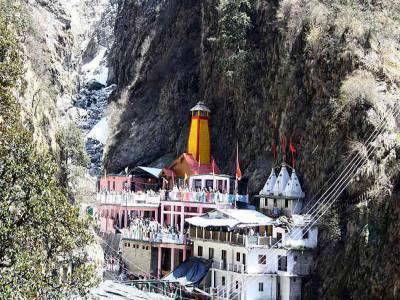 Yamunotri Temple is one of the four Pilgrimages sites in the Chota Char Dham circuit in Uttarakhand. The Yaumna is a divine mother in Hindu Beliefs and importance is well explained in the religious texts, the goddess Yamuna is the wife of Lord Shri Krishna, daughter of Surya Dev (Sun God), brother of Shani Dev (God of Justice) and Lord Yama (God of Death). The shrine of Yamunotri is located on the Bandar Poonch peak. The deity of the temple is made with the black marble. The Surya Kund near the temple is believed to be the pond of eternal purification. Geographically also, Yamuna river is very important because it is the most important tributary of Ganges. Moreover, the Yamunotri Temple gives tourists ample scope to enjoy an adventurous trek to the place of origination acting as the base camp for the trip. The beautifully constructed Yamunotri Temple is a place to obtain spiritual tranquility and express your prayers. Some believe that this grand Yamunotri Temple was constructed by a certain queen of Jaipur known as Guleria while others believe that it was erected by the Teri Garhwal King Pratap Singh. Whatever may the case be, Yamunotri Temple is once in a lifetime experience for everyone. Accessibility: about 215 kms from Rishikesh, about 223 kms from Haridwar, about 172 kms from Dehradun, about 415 kms from delhi, about 182 kms from Dehradun railway station and about 200 kms from the nearest airport "Jolly Grant Airport" in Dehradun. Accommodation: Barkot (5 kms away from Yamunotri Temple) has various types of accommodations like affordable guesthouses and budget hotels. 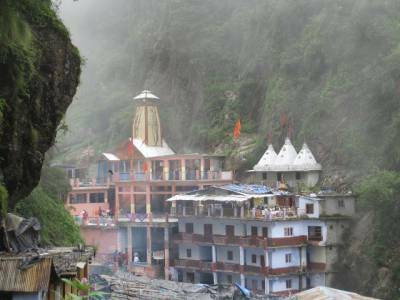 Get quick answers from travelers who visit to Yamunotri Temple.